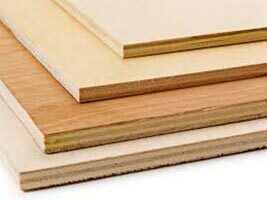 Our Boiling Waterproof Plywood (BWP) is contrived from specially selected core veneers and bonded with phenol formaldehyde synthetic resin in hot press process with high pressure and temperature. It is highly resistant to boiling water, extreme temperature and dry heat. It is able to withstand varying climatic conditions and is resistant to high humidity, termites and borer, etc. and is highly durable and economical. Plywood is used in a wide range of applications such as kitchen cabinets, partitions, wardrobe, tabletops, interior decoration, shelves, etc. Our shuttering plywood is suitable for construction of bridge, dams, roofs, etc. It is reused several times under certain conditions of storage and handling care.